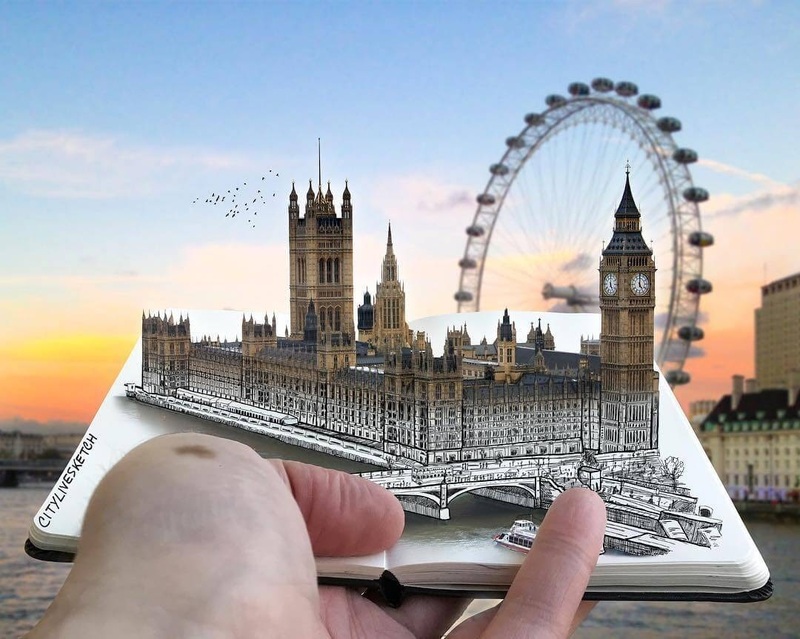 City Live Sketch is a project that mixes drawings and real life buildings, in a great 3D ensemble. 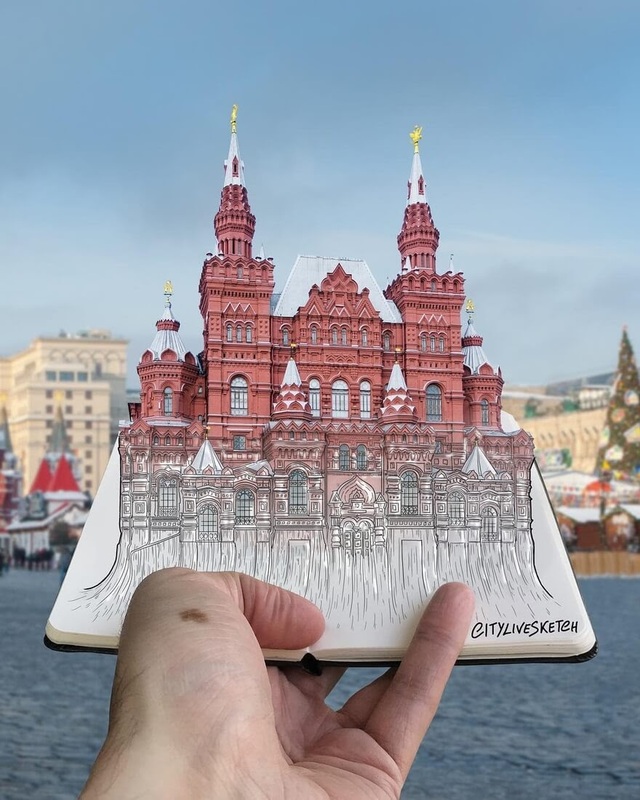 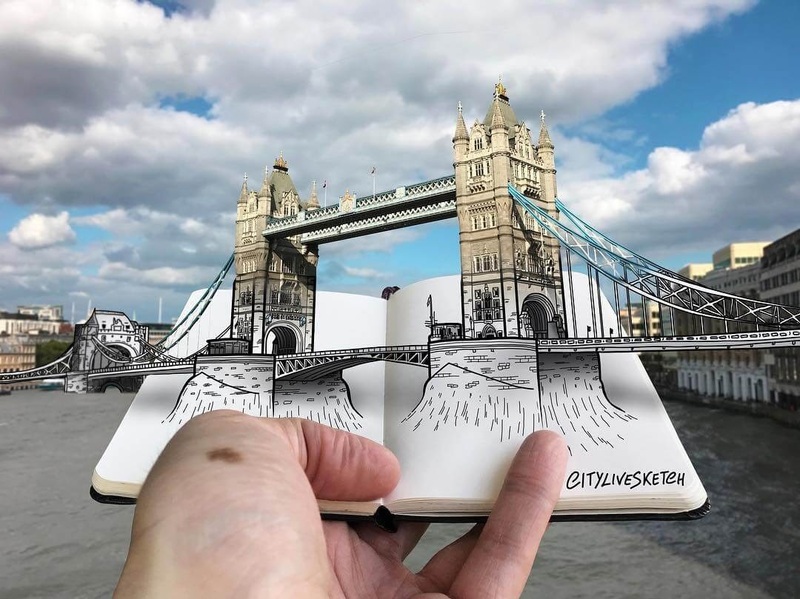 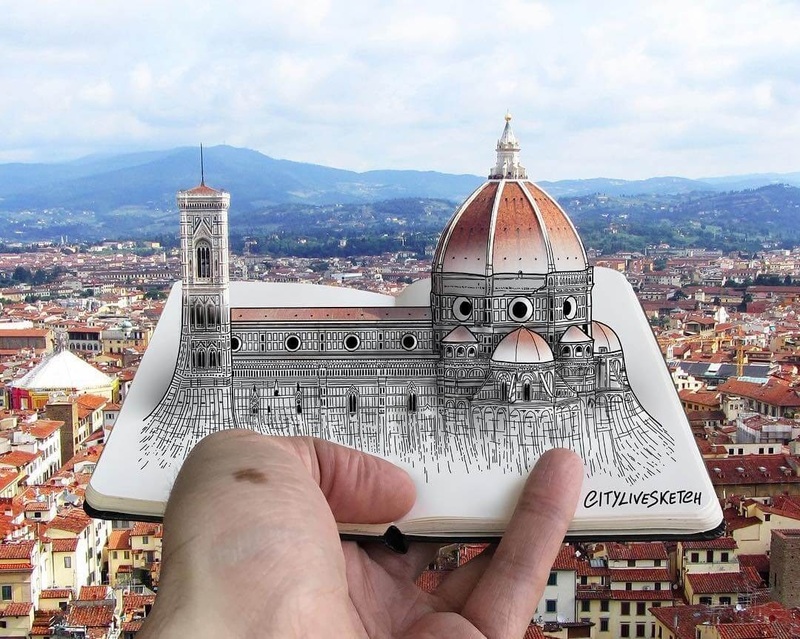 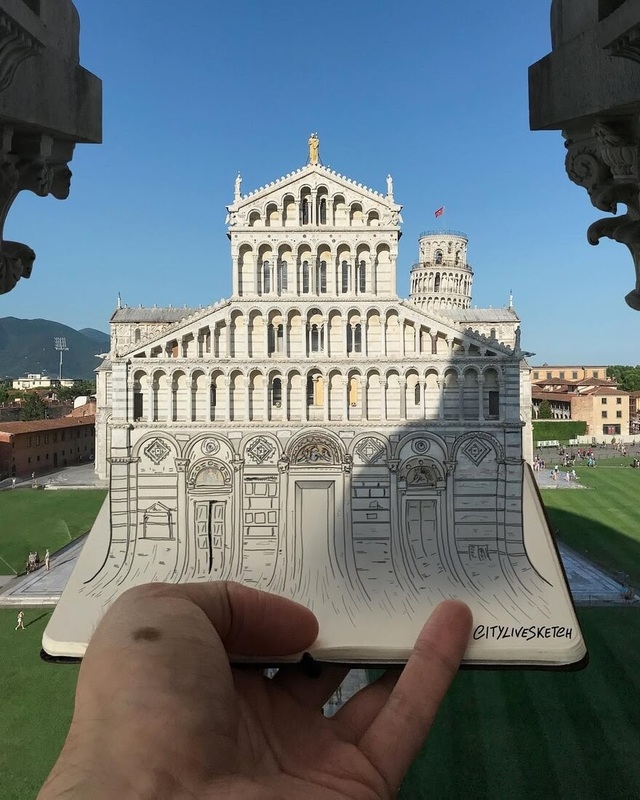 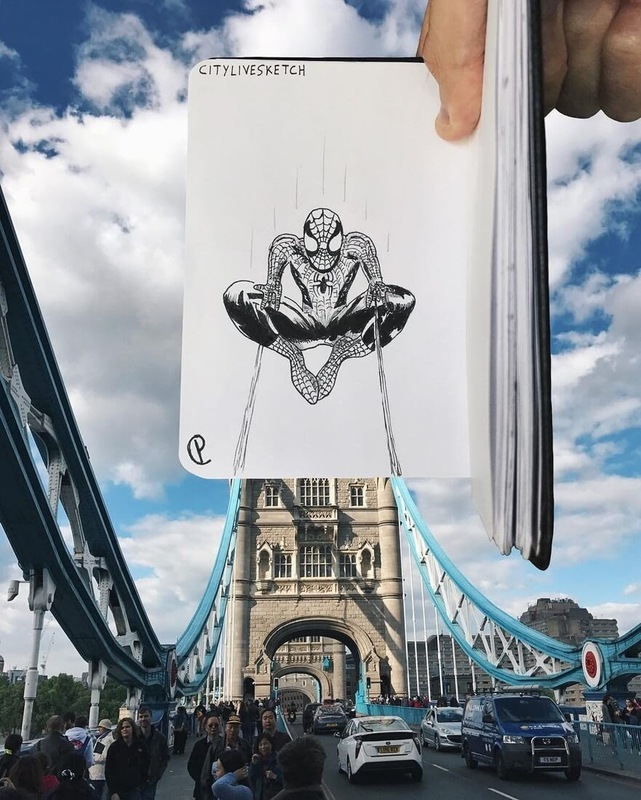 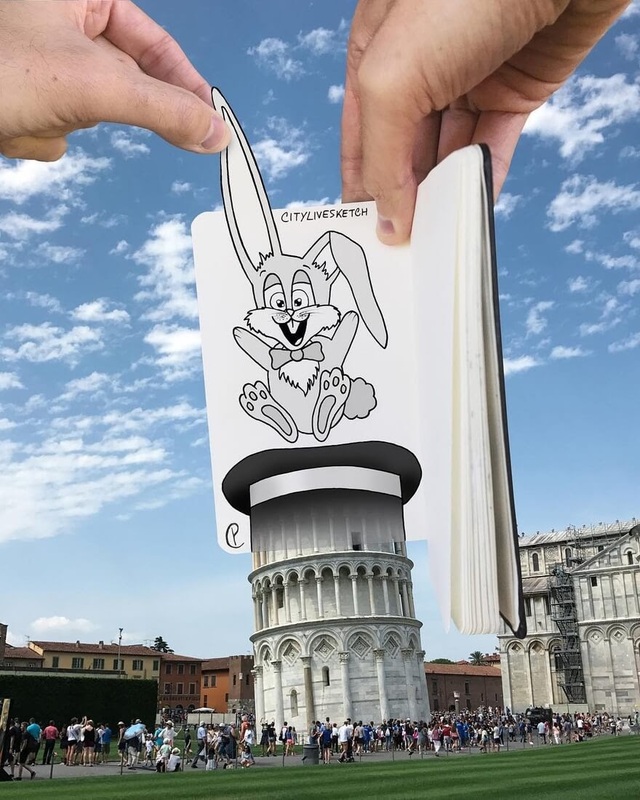 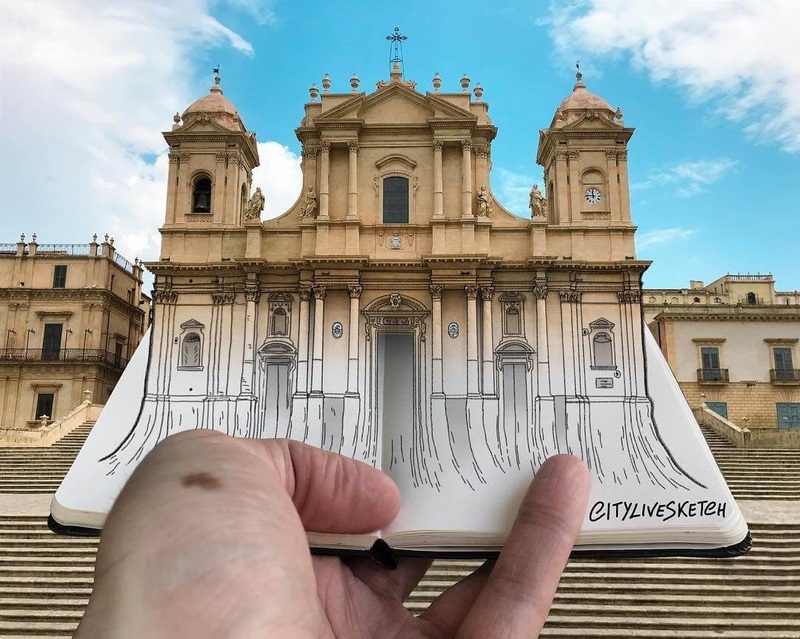 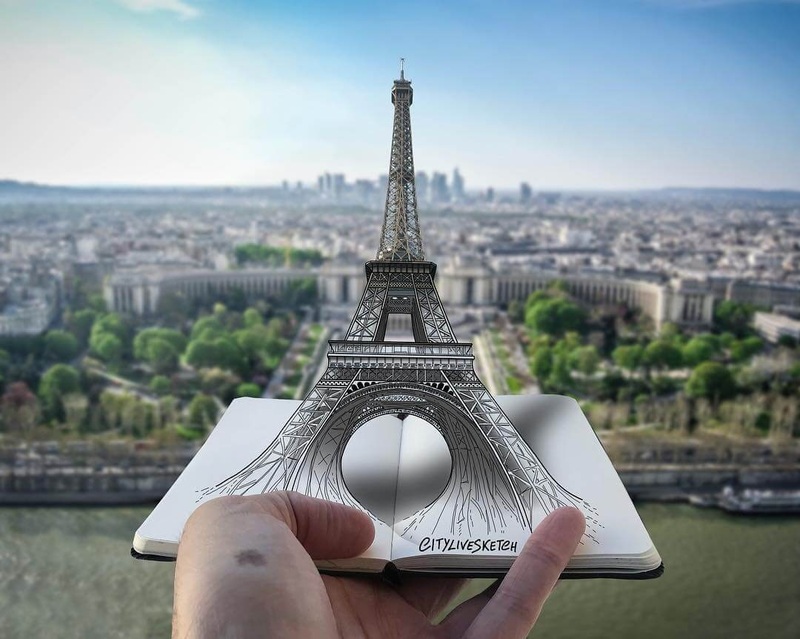 Italian Artist Pietro Cataudella takes his Moleskine sketches and pairs them up with famous and imposing buildings, to give them a whole new view. 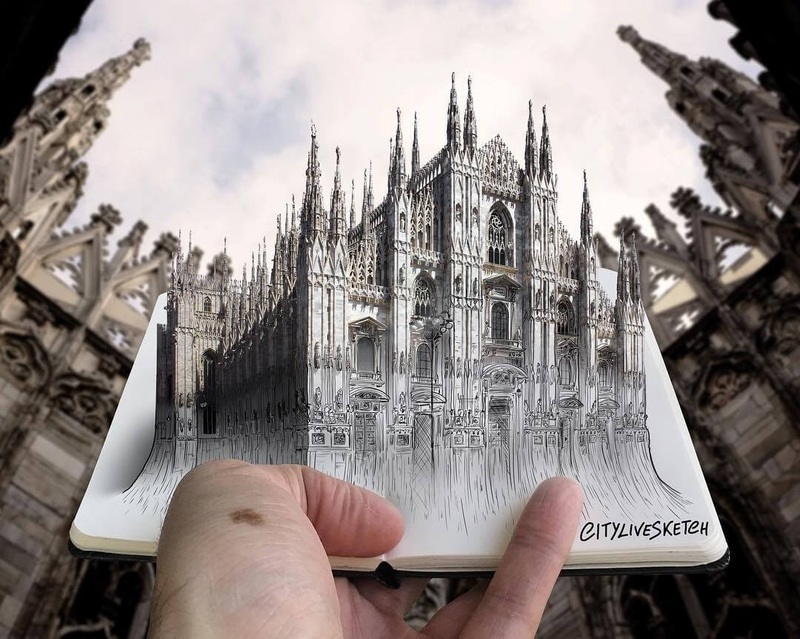 Sites from different parts of Europe, buildings that we love, but have grown used to seeing, are brought to life. 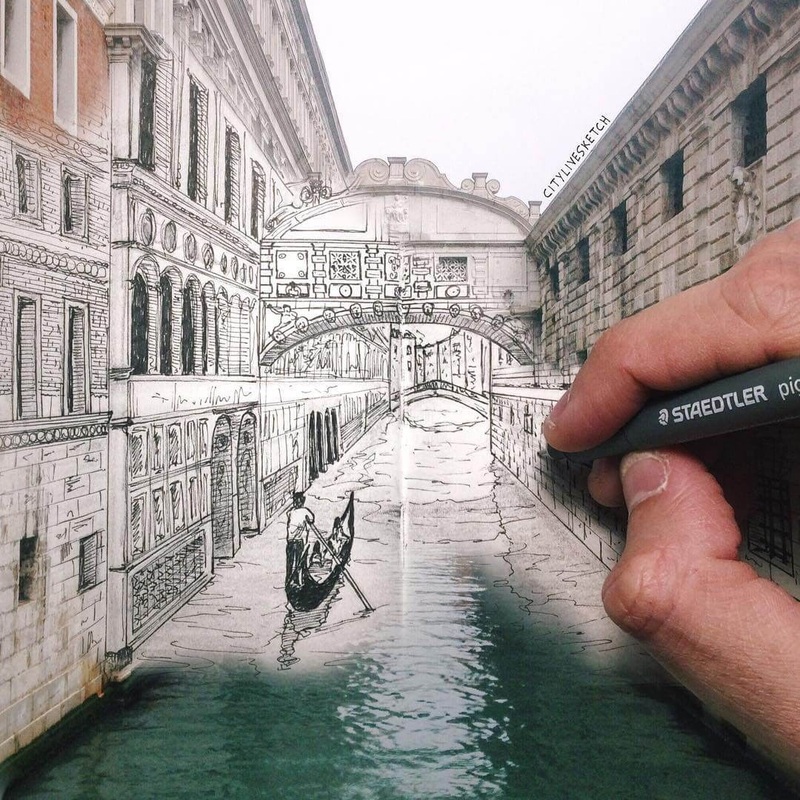 These compositions refresh our memories and give them a whole new look. 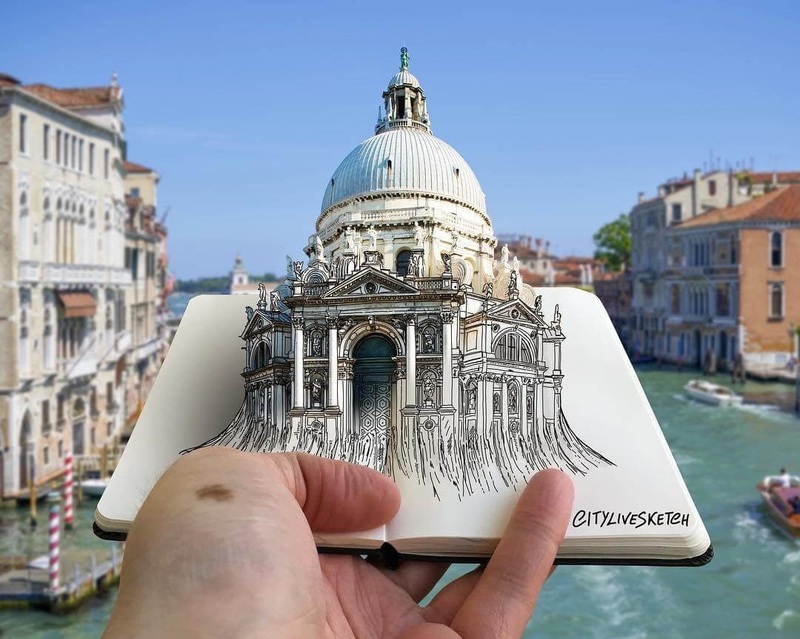 Santa Maria della Salute Venice. 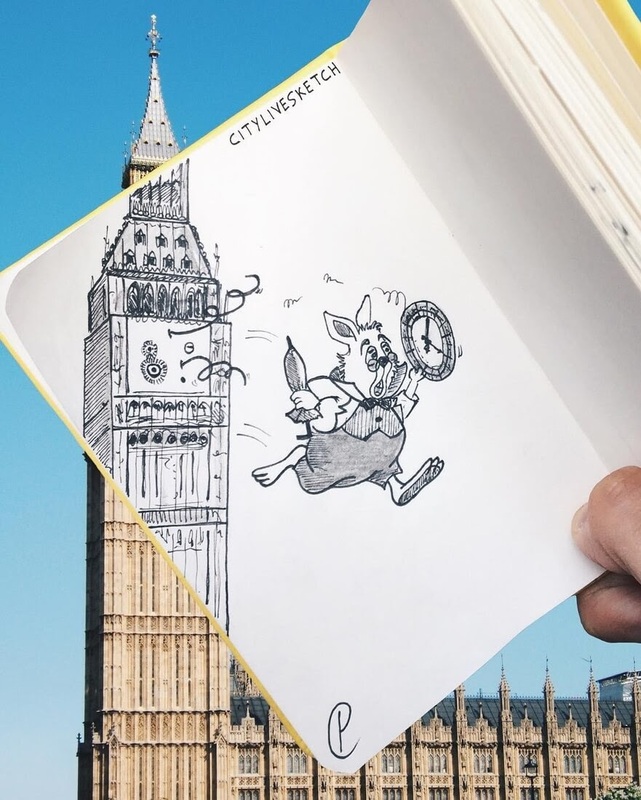 Big Ben and The White Rabbit from Alice in Wonderland. 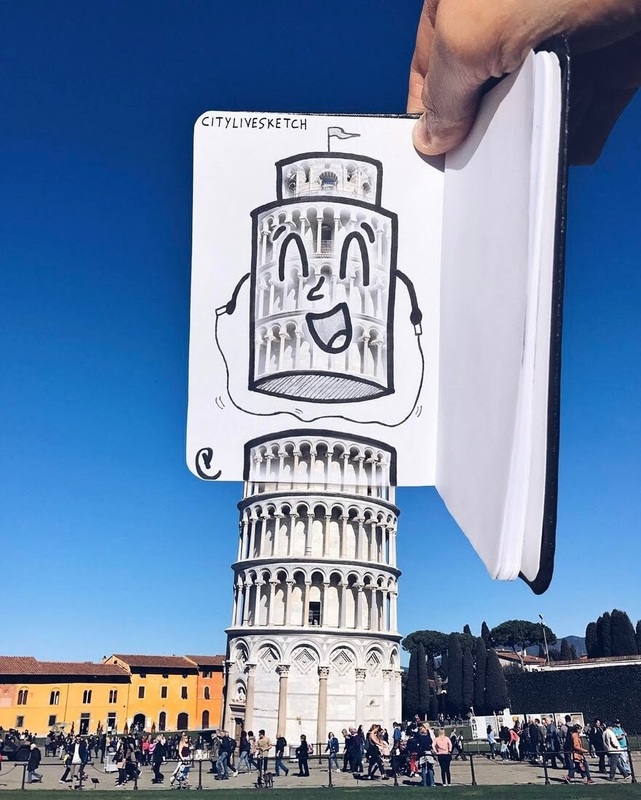 Leaning Tower of Pisa 2.